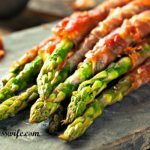 Bacon Wrapped Asparagus is one of my favorite spring recipes. 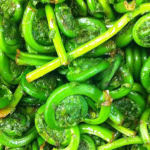 Its great as an appetizer or a vegetable side dish. This asparagus recipe is quick and easy taking just a few minutes to prep and has a cooking time of 15-20 minutes. I love serving it as an appetizer for a Mother’s Day Brunch or a side for Easter Dinner. The preparation for asparagus recipe is quick and easy. The first step is to wash the asparagus under cold running water and pat it dry with paper towels. With a sharp knife trim the asparagus spears to a manageable length of about 6-7 inches. Toss in olive oil. Wrap the bacon around the spears to look like the picture below.You can wrap them individually for thicker spears or in a bundle of 2 or 3 spears for thinner ones. Place on a sheet pan that has been sprayed with cooking spray, Roast in a 400°F oven for 15-20 minutes. The time will depend on the thickness of the asparagus spears. 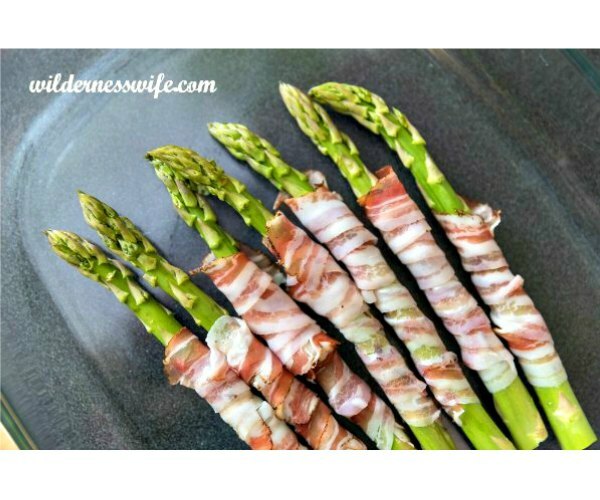 15-20 minutes later you have delicious and tasty Bacon Wrapped Asparagus Spears. I’m not going to claim that this is a really healthy recipe but the asparagus does provide great dietary fiber and roasting the asparagus retains all its nutrients. It also contains vitamins A, C, E, and K and also contains the mineral chromium which is helpful in controlling blood sugar. 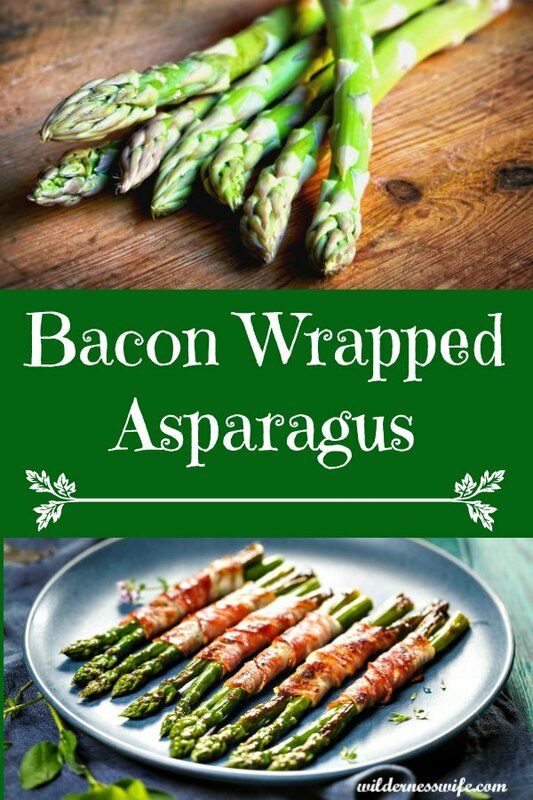 Of course wrapping it in bacon isn’t all that healthy but all things in moderation and the bacon makes the asparagus so very tasty. 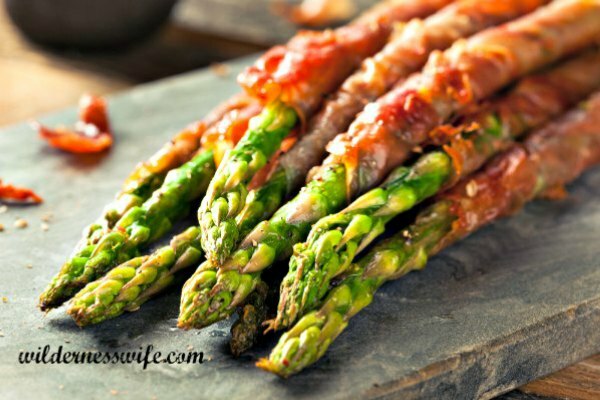 Enjoy Bacon Wrapped Asparagus this spring! A quick and easy asparagus recipe that is so delicious. Be sure to add this to your spring brunch menu. Toss the asparagus spears in olive oil. Wrap each spear with one slice of bacon. Bake for 18-22 minutes (depending on how thick your bacon is).